Friendly, approachable graphic designers offering professional, quality design. We believe great communication is the key to creating designs that perfectly match your needs. 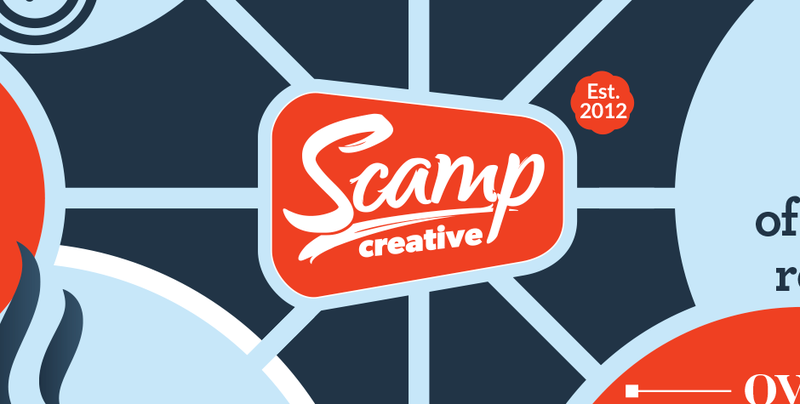 We are Scamp Creative; a Yorkshire based graphic design agency. 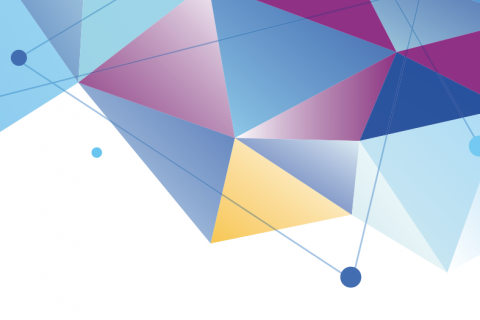 We provide a wide range of high quality, professional design services for digital and print marketing campaigns. We love to create and design, and we’re pretty good at it too. We create. It’s as simple as that. Brochures, prospectuses, signage, logos, branding, websites, packaging, displays, exhibitions, e-shots, adverts; you name it, we create it. 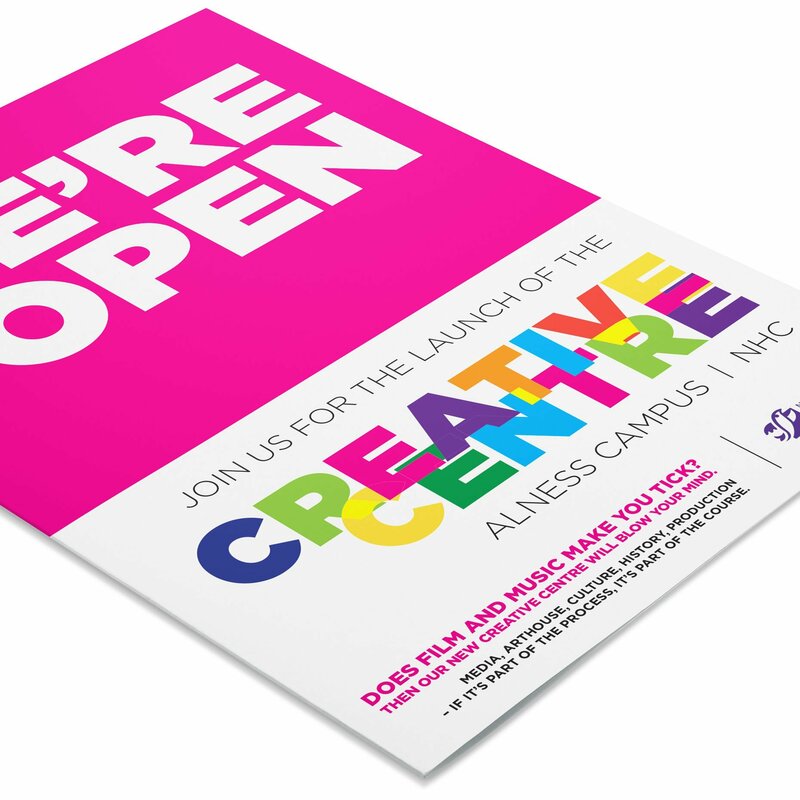 Whether your project is for a one off event or an ongoing campaign, we can help. We work with a range of clients from various business sectors; from retail to education to construction, plus everything in between. Working with a variety of clients keeps our work fresh and exciting. It’s why we love what we do. Want a design as unique as your business? Scamp can help. 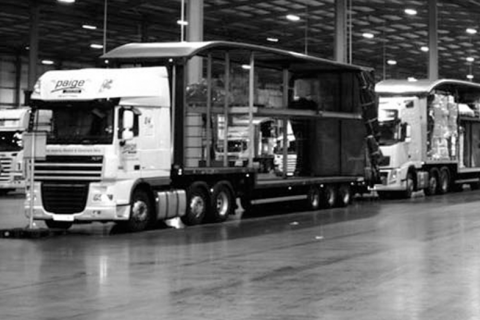 We take the time to get to know you and your company so we can create exactly what you need. We offer a wide range of flexible design services that can be tailored to your needs. Whatever your creative requirement, we’re confident we can help. If you have a design project in mind then we’d love to hear from you. Whatever you need graphic design for, we can help. 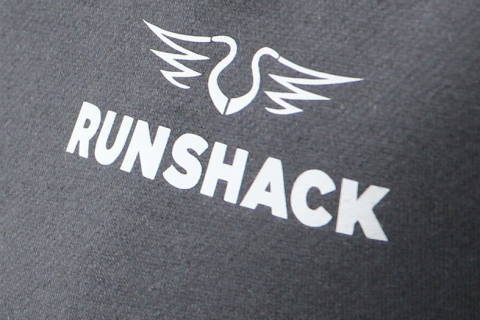 From pop-up banners to company vehicles to clothing, we’ve been there and done it all. We can create quality designs and print them on just about anything; business stationery, brochures, school prospectuses or packaging. Make your business instantly recognisable with a logo that stands out. 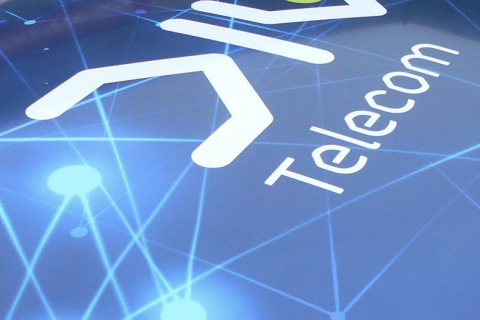 Our branding portfolio includes all sorts, from IT companies to charities. Want to create a professional online presence? 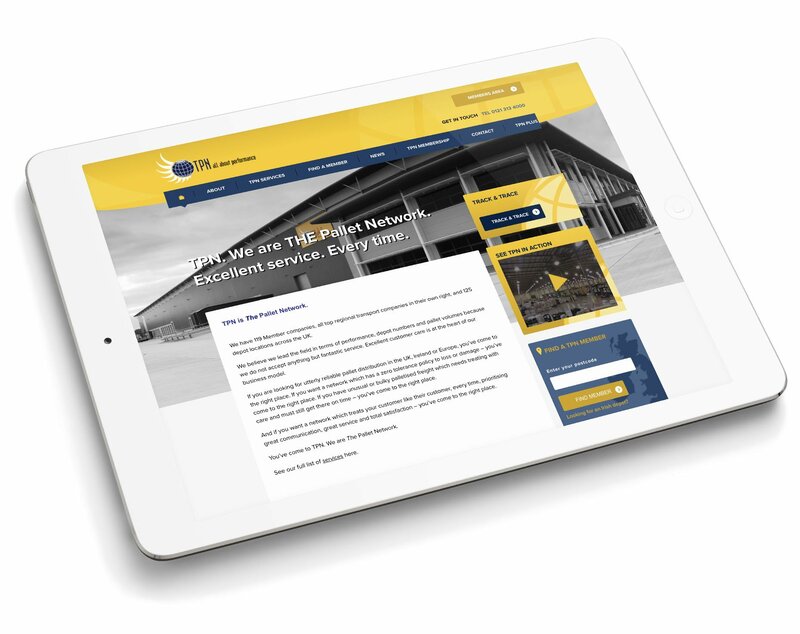 We’ve created websites for a range of sectors from education to construction. Want to present a consistent brand image? We’ve completed branding projects for all kinds of businesses from SMEs to corporate companies. Showcase your products with attention grabbing designs. 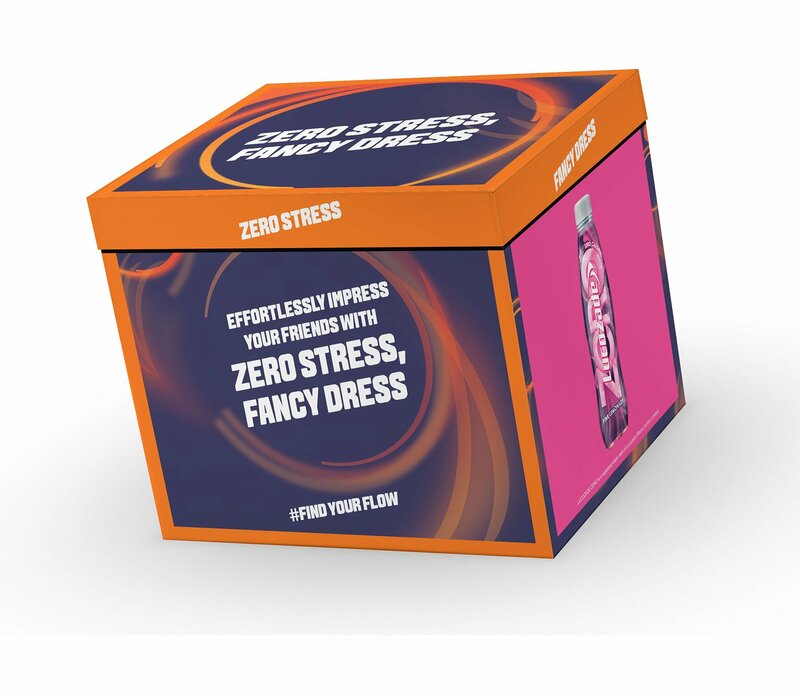 Our display work ranges from drinks companies to retailers to estate agents. Doing digital? We can create e-shots, social media pages and videos. 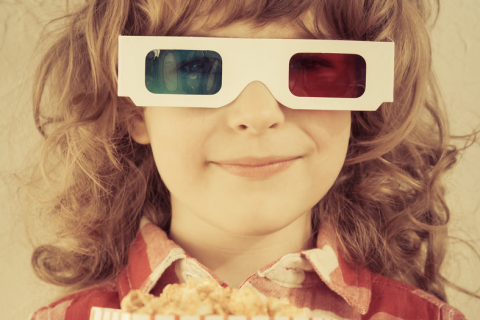 Our digital portfolio includes a number of projects for Virgin Media. Need professional, high quality images for your online or print marketing? We provide photography for all sectors from schools to commercial to industrial. 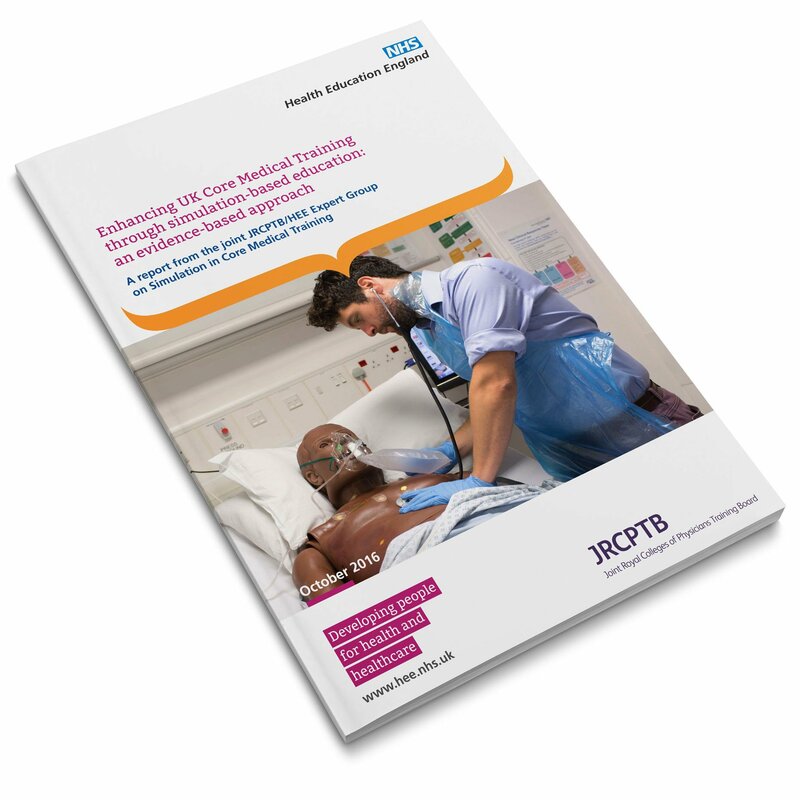 Health Education England exist to support the delivery of healthcare through the NHS. They ensure staff have the skills, training and values to give the support they need to patients across England. 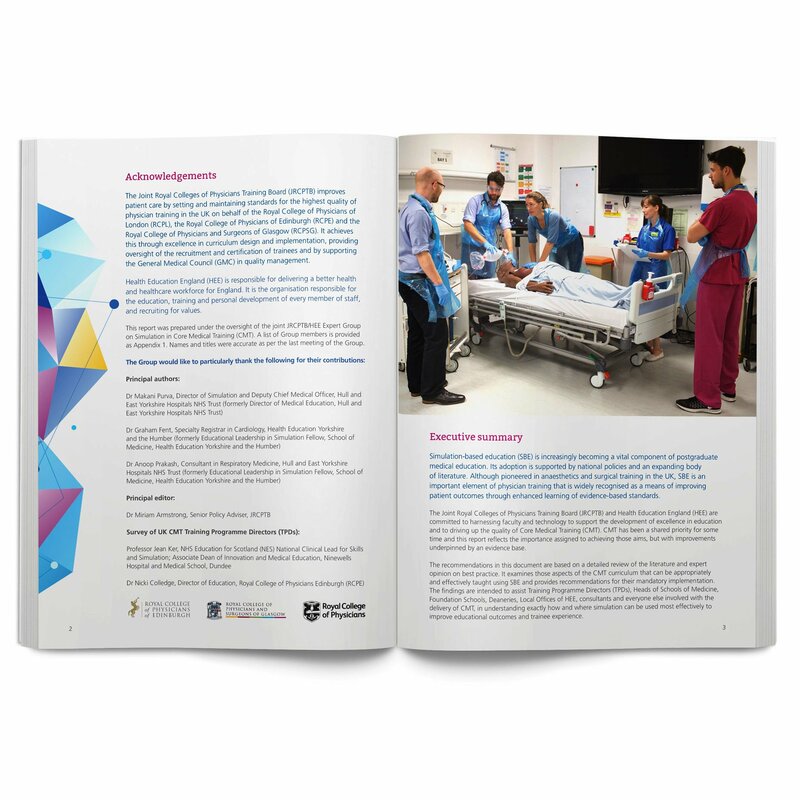 HEE commission us to provide graphic design and print for a range of artwork, including reports, displays and general information material. 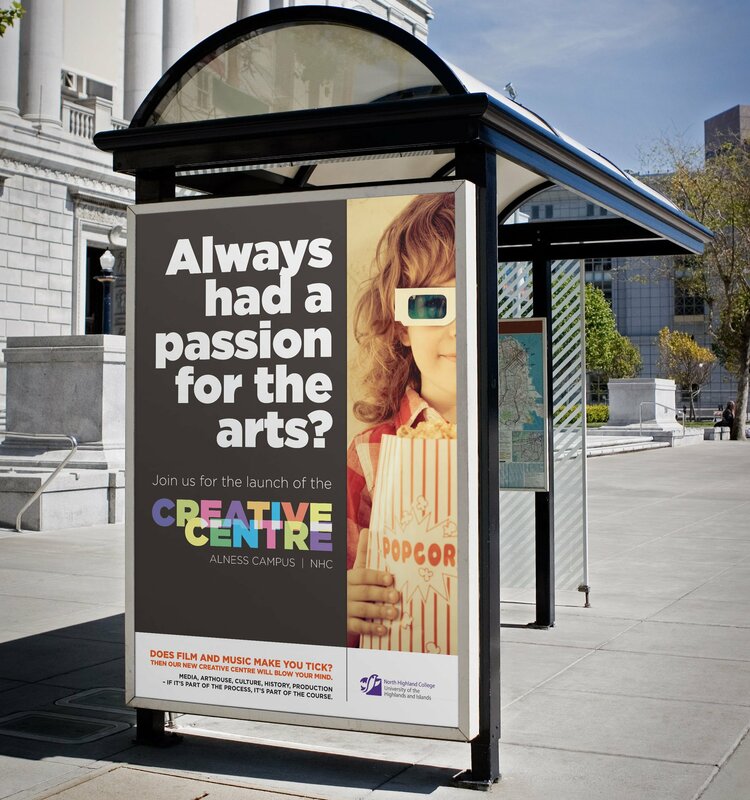 They need a reliable, local graphic design agency to provide regular, consistent and creative work at short notice, and Scamp Creative are proud to fit the bill. If you would like to chat to us about a project for your business, we would love to hear from you. 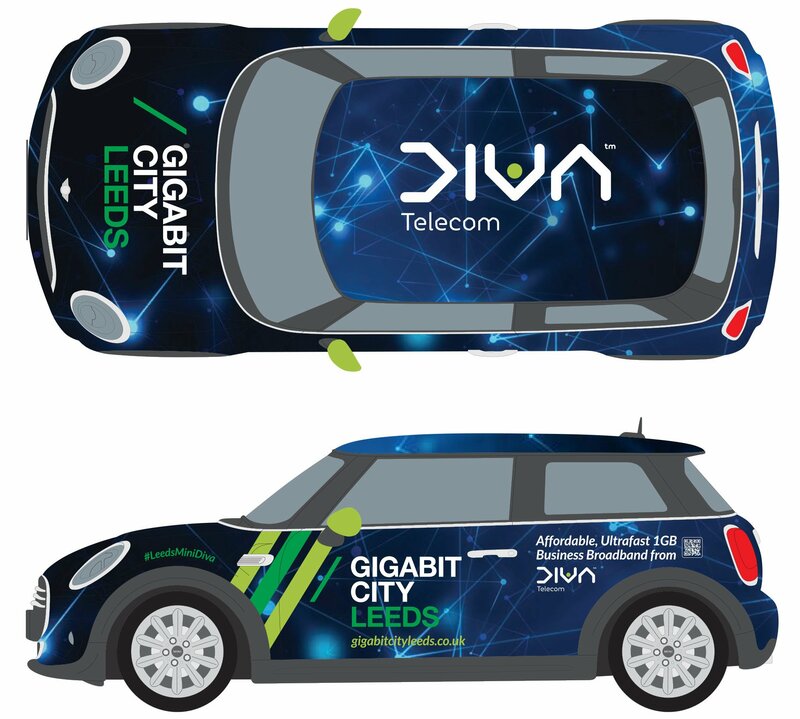 Diva Telecom won the rights to launch Gigabit City Leeds, providing Fibre networks to businesses across the city. 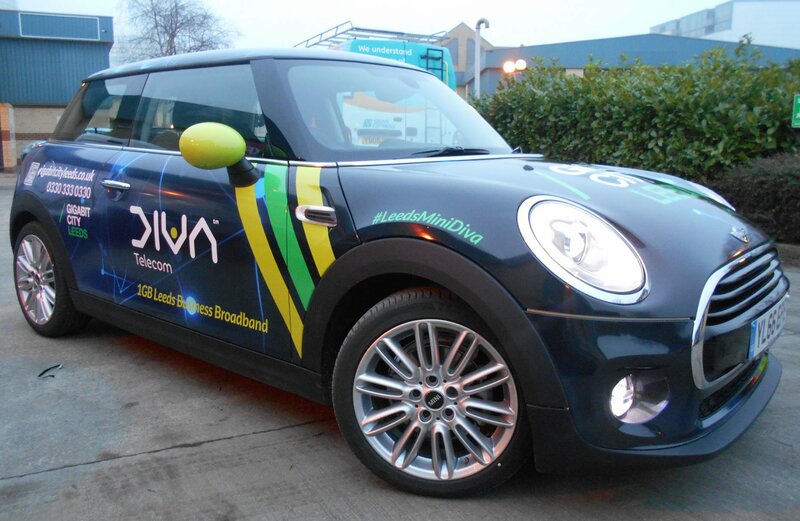 We were commissioned to add their branding to the new BMW Mini they were using as a marketing tool. The brief was to design something eye-catching that would get the message out there and create some interest. 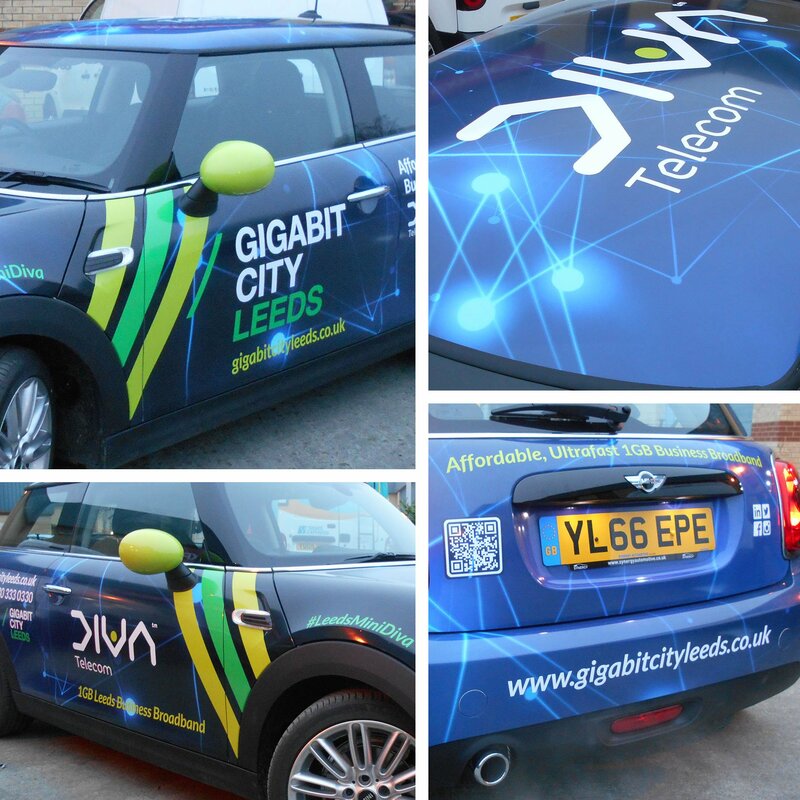 We are very happy with the final outcome, and Diva Telecom are too! 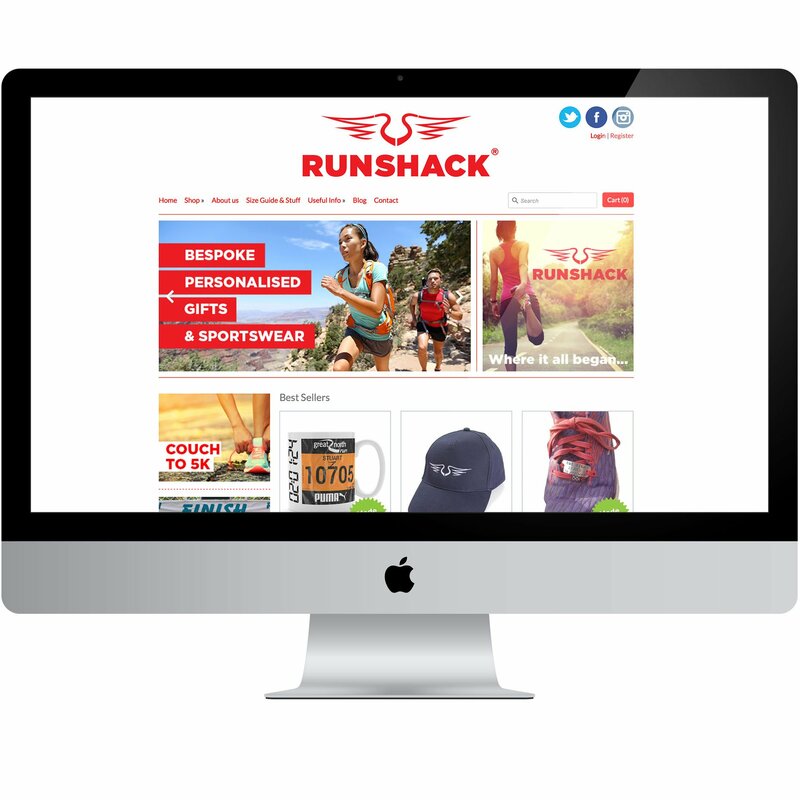 RunShack.co.uk is a running gift website offering bespoke clothing, branded items and personalised print. 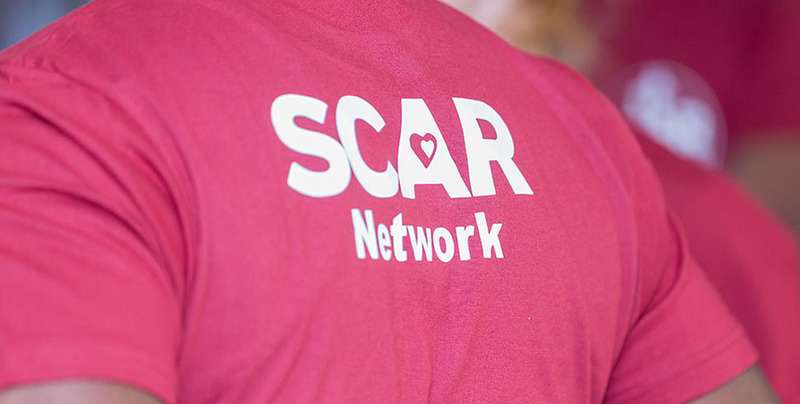 Scamp Creative were commissioned to create the logo and brand, right through to the website and marketing. 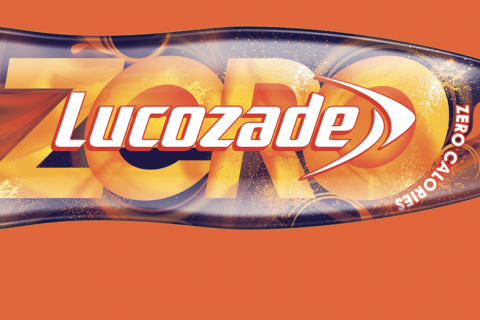 The logo needed to be bold, eye-catching, and ideally include the letters RS. Our final option with the wing motif shows movement, speed and has a natural flow to it. 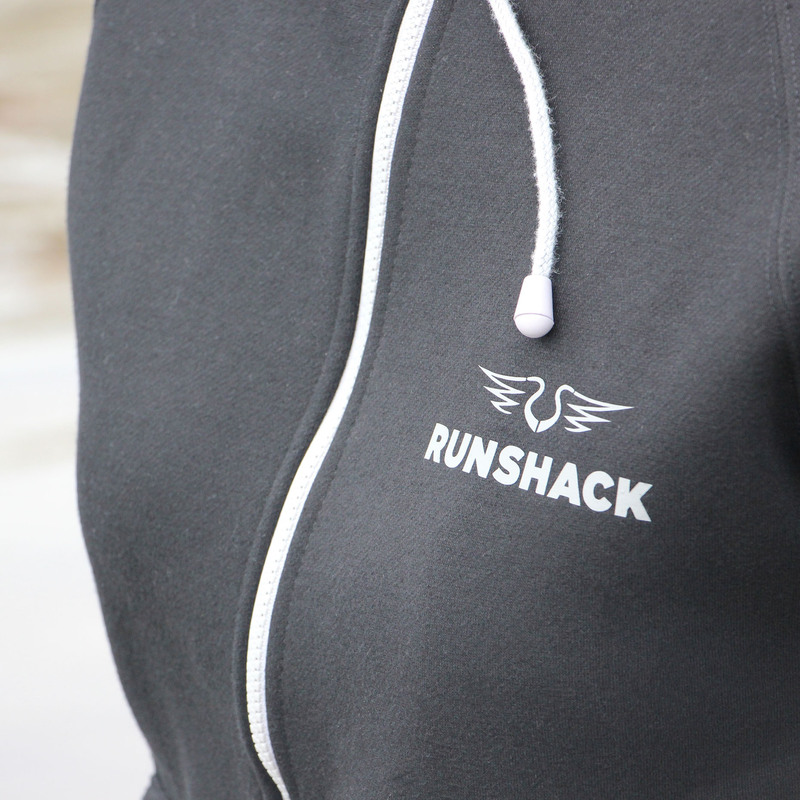 Marketing and promotional items include everything from T-shirt and Hoodie design, to Eshots and gifts tags. 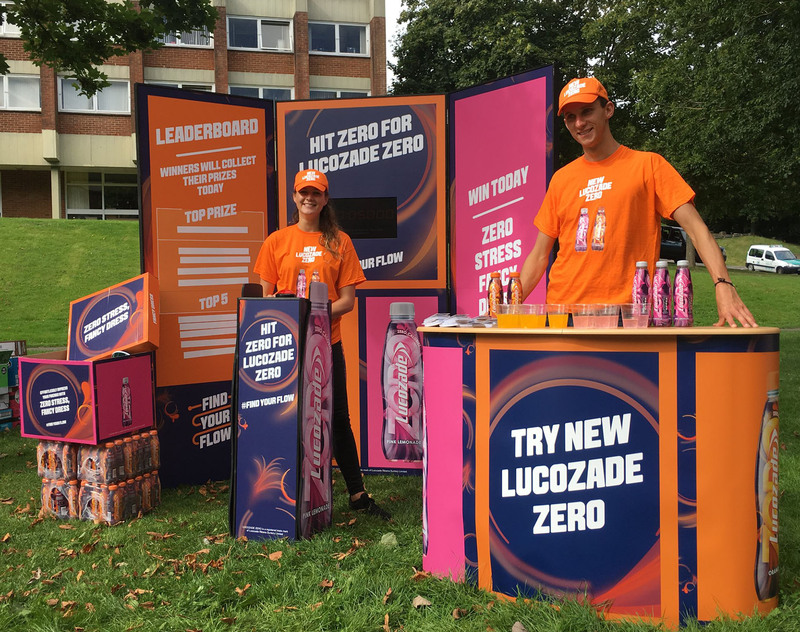 Scamp Creative were asked to produce branded material for Lucozade stands at Graduate Fairs to coincide with the launch of Lucozade Zero. 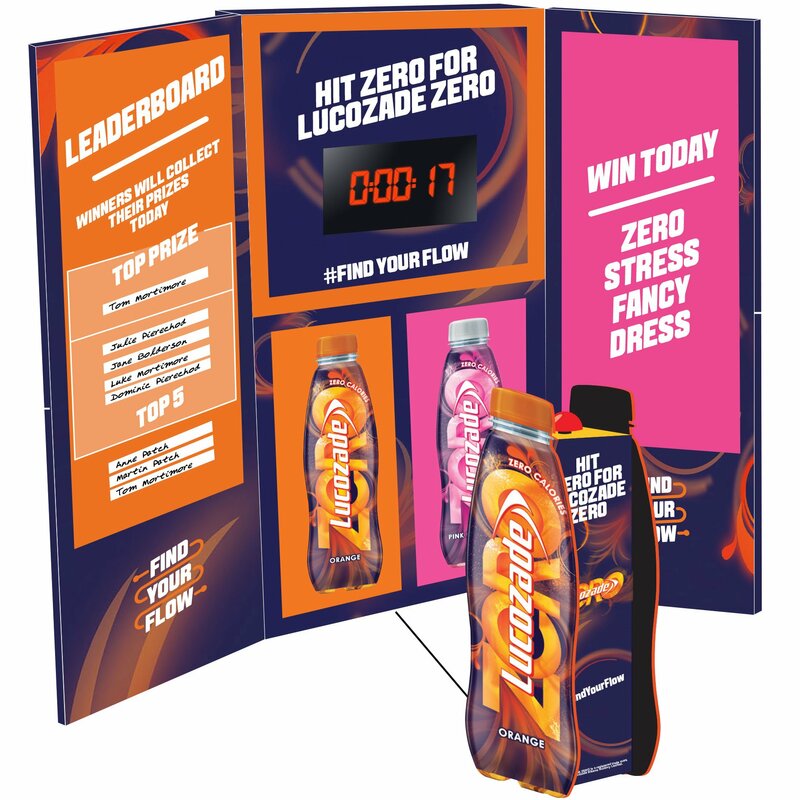 Liasing with our client, and our range of skilled suppliers, we created interactive displays, handouts and marketing material to create a user experience that would give Lucozade Zero great exposure to a huge market. 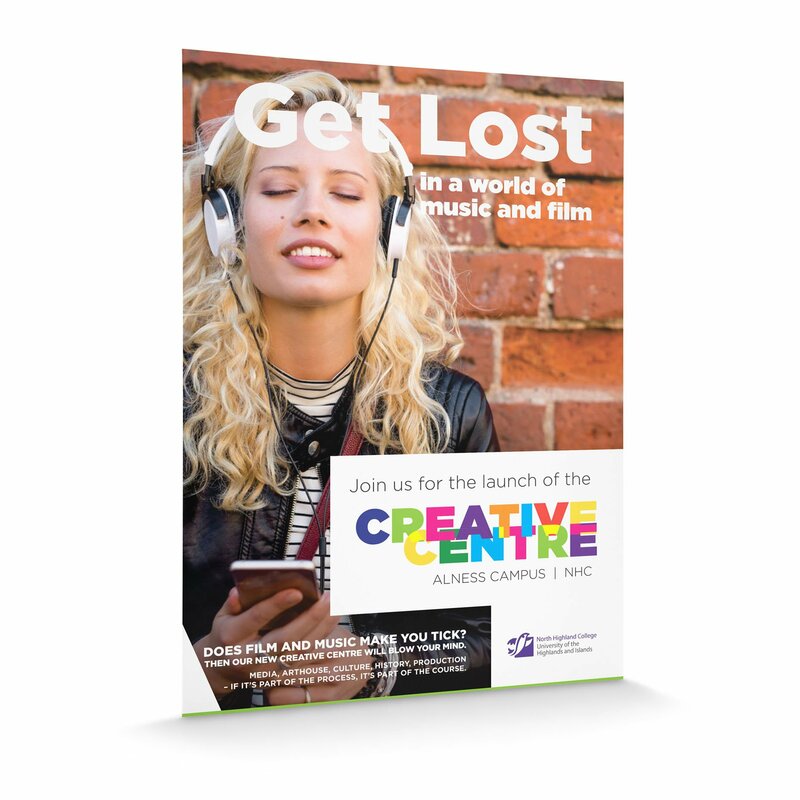 We were pleased to be asked to pitch for the new marketing campaign promoting the new Creative Centre at the North Highland College. Their recent development housed state of the art facilities for digital TV/Media production, Music and the Arts, as well as teaching the history and culture behind it. Our campaign proposals included bold statements with bright, creative branding, and a focus on the target audience. The Pallet Network asked Scamp Creative to revise their online presence. 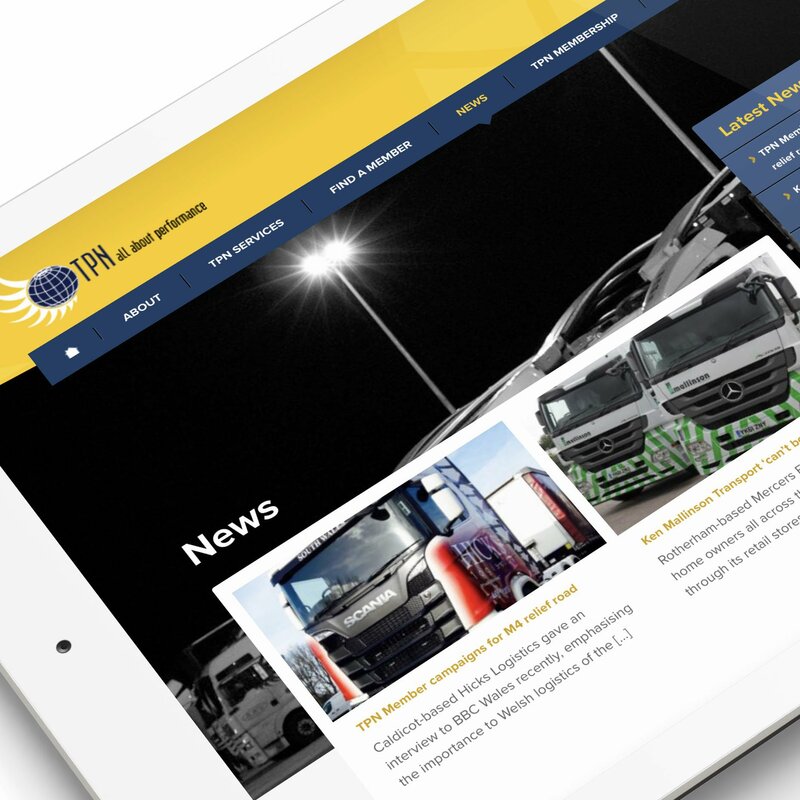 This included not only the customer focussed website, but the TPN members, and TPN Plus sites too. It was important to ensure the site was responsive and easy for people on the move to access. Featuring a host of linked specialist facilities for the members meant the site needed to be intuitive and straight forward. With clean branding and simple layouts, the new site is a great step forward for the business. I found Scamp Creative to be understanding, patient, flexible and professional at all times. They are constantly surprising, willing to listen and exceptionally good at what they do.